Shimon Sandbank is Professor Emeritus of English and Comparative Literature, The Hebrew University, Jerusalem, winner of the Israel Prize for the Translation of Poetry (1996). His Hebrew translations of Chaucer, Shakespeare, Kafka, Brecht, Hopkins, Yeats and Rilke, and his other literary publications, are detailed on the press website. His How a Poem Works: A Guide to Poetry (Hebrew, 2002) was published to critical acclaim. The book centers on Walter Benjamin’s revolutionary essay ‘The Translator’s Task’ (1923) which subverts some widespread assumptions concerning translation: that it serves for communication, that it transfers meaning, that it must not distort the translator’s own language, and that it is inferior to the original. Benjamin overturns these assumptions by replacing the concept of translation as a merely linguistic operation with a metaphysical — or theological — concept of the same, derived from Jewish Kabbala and French Symbolisme. In ‘The Translator’s Task’, as well as his earlier essay ‘On Language as such and the Language of Man’, he delineates a cosmic linguistic cycle of descent from, and ascent back to, God. The translator’s task is to promote this ascent by deconstructing his own language in order to advance it towards a final ‘Pure Language’. 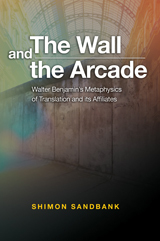 Following an analysis of Benjamin’s approach, some of its affiliates are discussed in texts by Franz Rosenzweig, Paul Celan (as explicated by Peter Szondi) and Jacques Derrida. Rosenzweig, a translator like Benjamin, is shown to be concerned with more concrete 1aspects of translation, whereas Derrida's autobiographical ‘Monolingualism of the Other’, though not focussing on translation, is shown to be an innovative contribution to the metaphysics of translation. Finally, an attempt is made to deal with the question of whether and how this abstract approach can be of help for the concrete practice of Poetry translation. The great poet Hölderlin’s German translations of Sophocles testify to the clear, though elusive, practical contribution of this approach and to the importance of Benjamin’s legacy.